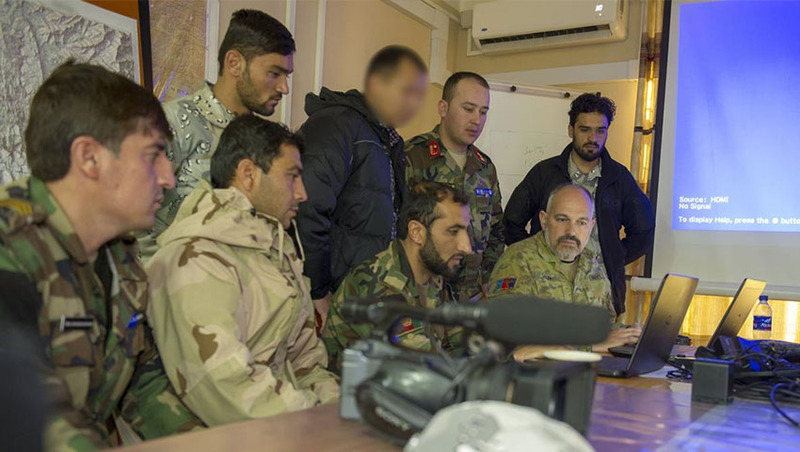 A Royal Australian Navy photographer has delivered a photography and video course to the Afghan National Defense and Security Forces (ANDSF) to help promote the important work of its soldiers. Petty Officer Andrew Dakin taught the course to ANDSF personnel posted to the Kabul Garrison Command public affairs unit. Major Turkistani Qand Agha, Public Affairs Operations Chief at the Command, said that imagery was a "powerful way to highlight to the Afghan people how the ANDSF worked to protect them". “By improving our photography and videography skills we are able to communicate with the people of Afghanistan and gain their support for the important work we do,” he said. PO Dakin was invited by a small team of ADF service men and women to deliver the course. “I have been fortunate to teach photography to Defence members in the past but this was the first time I have used an interpreter,” PO Dakin said. The small team that invited PO Dakin help train, advise and assist Afghan officials at the Kabul Garrison Command on the security of the city's 5 million residents.